The HIPAA Privacy Rule affects virtually every organization that provides health-related benefits - not just health providers. Do you know how the Rule affects your company? Have you appointed a privacy officer? Can you properly inform and train your staff? If you're a health provider, do you really have all the policies and forms you need? What about revisions to job descriptions? Do you have policies and forms for worker compensation and drug/alcohol testing? Here's the help you need. 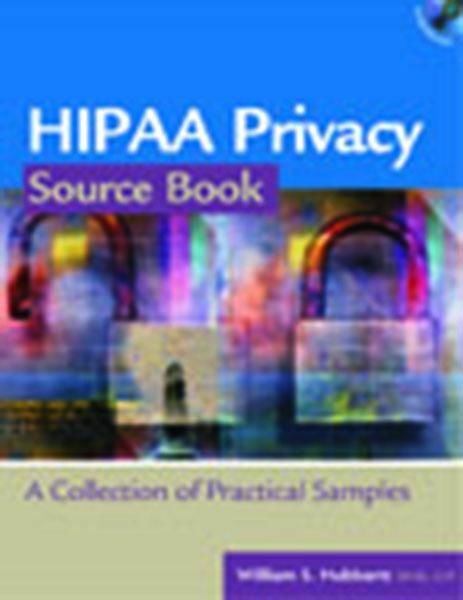 The HIPAA Privacy Source Book puts practical materials at readers' fingertips. There are over 80 tools to help you understand the Privacy Rule, assess your organization's current state of compliance, and ensure full compliance. Sample policies, procedures, and forms cover every aspect of the HIPAA rule. Checklists and training materials include requirements for group health plans, an authorization checklist, training materials, and a training leader's guide. A section-by-section summary of the Privacy Rule gives you an accessible, summarized reference. The book includes a CD-ROM with the forms, policies, checklists, and training materials in both PDF and RTF formats.